I have written about ways to get free perfume samples in the past as well as even free samples at Target specifically, but in today’s blog post, I wanted to talk about all of the awesome ways to get FREE makeup. Yes, 100% free and no credit card will be required and best of all, you DON’T have to take surveys. In fact, put that credit card away, because, unlike most of these lists that ask you to pay a free shipping and handling charge, I don’t believe in that since that technically isn’t free, right? I mean, who wants to pay $5 for a sample when you were expecting FREE. Or who wants to take a survey? Again, NO thank you. Whether it’s your birthday or requesting a sample, there are a variety of ways to build up your makeup stash if you follow my strategies noted below. It has worked for me and yes, it will work for you as well! NOTE: Do keep in mind that these strategies constantly change, so I will try my best to continue to update these options. Also, some may not guarantee free makeup right away, but if you keep active, it can reap some great rewards, I promise. If you see any changes and/or want to add a resource, do let me know! PINCHme is one my absolute favorite ways to get samples almost monthly AND the great thing about it is that it’s 100% free, with NO credit card required, I promise. Sign up to become a “Pincher.” Again, it’s free and takes a few minutes. Just make sure you fill out your household profile so that you can receive targeted samples, such as makeup. Then, once you get activated and fill out your profile, you are then able to select any of the current sample boxes on the website that you would like to receive. These samples do rotate monthly, so be sure to keep checking if you don’t see any makeup-related samples. Also, the samples are mailed directly to your doorstep for free. Once you try the samples inside the box, the company just asks that you log back into your account to share your thoughts via a short feedback survey. Again, joining is 100% free. There’s no catch and no credit is needed! As an Allure Beauty Enthusiast, you will receive exclusive offers, VIP events and the chance to try out new beauty products that are about to hit the shelves. While you cannot simply sign up and start receiving makeup in the mail, this is an option to consider if you want to try out products in the near future. Once you’re approved, you can simply sign up for an account and wait for a survey invite in the mail. Joining DOES NOT guarantee a free sample right away, however, but a lot of people had pretty good luck with it. As long as you meet the demographic for that particular study, the company will send you a sample and will ask you to fill out a survey after use. If interested in the program, it’s free to join and you can sign up by following this link. If you’re an Amazon Prime member, Amazon offers a cool feature called the “Prime Samples” program. Amazon will list a variety of sample boxes, which generally update almost every day, and whenever you “buy” one, they will then refund you in sampling credits, essentially making the purchase free if you purchase the products inside the box. For example, when I was writing this, they had a luxury beauty sample box that more than 15 beauty products! I have seen makeup sampling boxes on here, so it doesn’t hurt to check for them if that’s what you’re looking for, but if you’re a fan of samples in general, consider checking this page out daily to see any boxes pique your interest! If you have an Aveda nearby, then I recommend you check them out as they are pretty generous with their samples! Visit the beauty counter, ask for a sample, and in some cases, if they are not busy, they will even provide you with a free facial or makeup application. Even if you cannot make it to the store, then the online store will throw in some samples if you make a purchase. According to BzzAgent, you can get “Bzz-worthy products from your favorite brands,” and all it takes on your part is your opinion. In short, the company will ask you to try a product, provide your honest opinion and even share the product with people you know. Signing up is free, and besides free makeup samples, the company provides samples from leading companies such as Hershey’s, Samsonite and so many more. To learn more about this free program and how you can get free makeup samples, you can do so here. Shoppers at Benefit Cosmetics have said you’re able to sample some products if you simply ask, just like the many brick and mortar stores I mention here. While your results may vary, it doesn’t hurt to see if any locations are available nearby. If you plan on shopping there, see if they have any new products they are willing to let you take home and sample! To find a location near you, you can use this official store locator tool. Did you know that some companies will offer you a birthday freebie regardless of how much you spend with them? Some may send you the freebie in the mail, while others may ask you to come to a brick and mortar location with a coupon then send to your house and/or email inbox. These are just a few of the HUNDREDS of companies that will send you free products on the birthday. I will be sure to write a post in the future on which companies offer freebies on your birthday. In the meantime, these are the most popular stores that will reward you on your special day. If you have a Body Shop nearby, you can pop into any store and sample ANY product, according to the company’s FAQ. All you need to do is check with a representative and just let them know which items you’d like to sample. According to the FAQ, they also note that they offer samples online from time to time as well. So if you’re going to shop online, be sure to look for any samples you can add to your cart as well. Clinique is yet another store which will offer free samples if you visit in person, all of which will vary. Just visit the counter and see if any samples are available at the time of your visit. If you’re shopping online, it appears the company may offer free samples, but it will really depend on the time of the year and the current promotion. You can follow this link to see if any samples are available at the time of your purchase. As you may or may not know, all of your major retailers that sell makeup products, such as Target, CVS, Walgreens, and Walmart, to name a few, accept manufacturer coupons. And by using these coupons, you can get makeup for free and in some rare circumstances, it can even be a “money maker,” in which you make money by buying the product essentially. Use what’s known as a coupon matchup for the retailer you want to visit. One of my favorites is thekrazycouponlady.com, but you can search for “Walmart + coupon matchup,” for example to find other great websites as well. Next, view the coupon matchups for the week to see what you could potentially get for free or even get a heavy discount. They will list these on the matchup page and it’s pretty self-explanatory as to how to get the deal because the author will explain it to you as to where you can get the coupon and what you have to do, etc. For example, while I was publishing this, I could print a $1 printable coupon for a Wet n Wild product and purchase the product at the Dollar Tree, making the product free! These deals pop up all the time, so make sure you make it a habit to see what kinds of offers you can take advantage of as you can find more than just makeup deals. The Elle Inner Circle, a lot like Allure Beauty Enthusiast program I mentioned earlier, works in the same way. You will want to register for a free account and then wait for an invite in your inbox. Again, if you meet the demographic, the company may send you a product for free and will then ask you to share your opinion. Unfortunately, as much I would like to, I cannot keep this page up to date with specific makeup offers, but thankfully, other websites can do so. 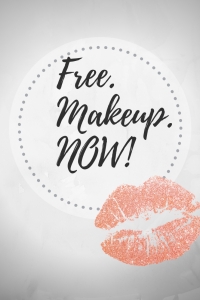 The following freebie websites I list below consistently add specific makeup offers almost daily that you can take advantage of to have free makeup samples sent to your home, usually with no strings attached. Be sure to read the fine print, however, before signing up, though. When considering this route, make it a habit to check out the deals daily as good ones go FAST. Giveaways are one of the easiest ways to snag free makeup samples, but of course, you need to win the product. While your chances greatly depend on the giveaway you’re entering, some of my favorite ways to find makeup giveaways include searching Twitter and Google. But when using Google, just make sure you view the most recent results to ensure the giveaway is still fresh. To do this, search for something such as “makeup giveaways,” then click “tools,” followed by changing the “any time” link to either the past month, week or 24 hours. Doing this will hopefully bring up a lot of recent giveaways you can enter. The “Glamspotters” are responsible for sharing their opinion on the latest beauty products, including makeup products. Just like the Allure and Elle programs I mentioned above, it works in the same way. Sign up for an account, wait for some offers to arrive in your email and land a free sample if you qualify! Again, in exchange for this free sample, the company will simply ask that you share your opinion via a survey. Influenster.com ships out thousands of exclusive samples every month for FREE. While joining does not guarantee you free samples, it doesn’t hurt to join as many programs as possible similar to these to increase your chances of landing a cool freebie. To potentially get your hands on samples, the company asks you to download the app, fill out your profiles and connect with them via your social media channels. If you’re a fan of makeup reviewers on YouTube, this is how a lot of the YouTubers often get their free makeup. It seems that if you have a decent-sized following, you can increase your chances at landing samples throughout the month, but the results really do vary, so don’t kill the messenger here. To learn more about the program and how you can land some free samples, you can do so here. When you join the InStyle Trendsetters community, they will offer regular opportunities to share your thoughts and opinions on a variety of beauty products. Like a lot of these panels I mention here, the InStyle Trendsetters community will even give you the chance the win some great prizes every time you complete a survey. Joining is free and your results may vary, but again, it doesn’t hurt to join as many of these panels as you can. The Lancôme’s Elite Rewards program will reward you for completing offers, such as connecting your social media account, spending money or even send you a freebie on your birthday. Once you accrue enough points, the company will then let you exchange these points for free products or even spa services. For example, you can earn 50 points every time you connect your social media account and another 10 points for every dollar you spend. The points do add up fast! Joining is 100% free and is a great way to get free makeup, especially if you shop at Lancome often. Even if you feel you’re not going to use the program as intended, they will send you a birthday gift every year! The L’oreal consumer participation program is 100% free and is open to anyone who would like to join. After registering, the company will invite you to on-site events and even send free makeup samples through the mail, all of which they will ask you to share your opinion after receiving it. Although you will not be able to choose your samples, nor do I guarantee you will receive any, it’s another panel worth joining to increase your odds of receiving freebies. To join, you can do so by following this link. If you shop at LUSH, then the company wants to let you know that if you bring back five empty and clean LUSH pots to your local store, they will give you a FREE Fresh Face Mask. If you have any, don’t throw them away next time and bring them back to the store to get your freebie. If you have a MAC Cosmetics nearby, I have had a lot of luck asking for samples at the desk, and while your results will vary, this is a great way to sample new products and even receive coupons if you do like the product. And if you don’t shop online, but rather, online, be sure to add these samples to your cart as the company will throw in the samples for free! If you find yourself shopping at MAC quite often, either online or in-store, did you know that you can send in six MAC packaging containers and they will send you a free product? Through the “Back to MAC” program, you can fill out this form, and if the product qualifies, the company will send you a free product of choice at NO charge. This method is a fantastic way to help save the environment and get you a free product for the packaging you probably would have thrown away. Macy’s is yet another department store you can visit to ask for free samples. Visit the cosmetics counter and see if any makeup samples are available the time of your visit. I have had a lot of great luck doing so, but the results are mixed since sometimes they are out or the samples aren’t the greatest. Most of the time, these samples will be located behind the counter, but most representatives will have no problem giving you a few to try at home. Visit any local Nordstrom beauty counter and ask for a free sample. And just like Macy’s, the samples are yours if they are in stock. Depending on the time of the year and promotions being held, these beauty products can range from makeup to additional beauty products like lipstick, eyeliner, etc. Just like most beauty retailers, the online website offers free samples as well, but unlike in a store, you will need to make a small purchase if you want to take advantage. If you have any sort of YouTube or Instagram following, then you can request products to try via Octoly for free. To get free products to review, the company asks that you request the products you love, and then, once you receive them, you create an authentic review on Instagram or Youtube. From the looks of it, as long as you have 1,000 YouTube followers or 10,000 Instagram followers, then you should consider joining to see what kind of freebie they send you. 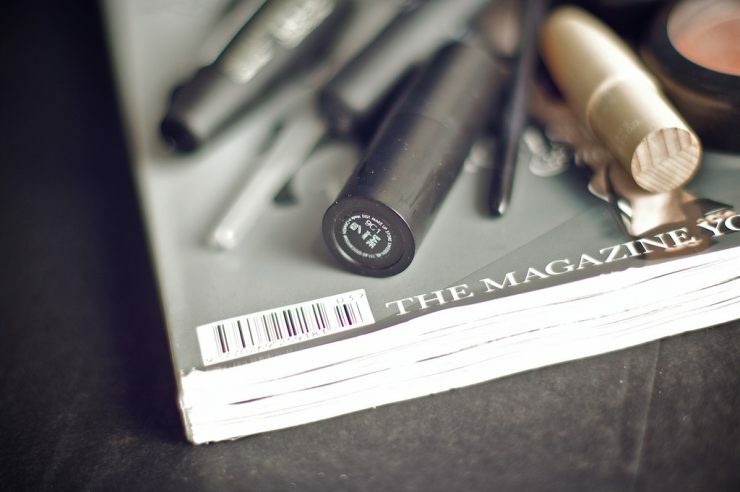 The PinkPanel consistently sends out free beauty products, including makeup, to its members. As a member, you can not only test free beauty products, but you can also get paid for doing so. In some cases, as much as $200! NOT BAD. Once you create an account and are approved, be sure to check your e-mail frequently as the freebies often go fast. If interested, you can sign up via this link. Product Testing USA invites anyone who wishes to test out new products, including makeup from top brands. However, if you do decide to join, keep in mind that the company may send you more than just makeup samples since they work with a variety of companies. For example, when I was writing this, they were sending out free Google Pixel 3 phones and even rewarding people to eat at restaurants. Regardless, signing up is free, and when you join, the company will ask you to share some details about yourself in order to send you targeted samples. After you receive your samples, share your opinion with the company and they will continue to reward you with more! Club Red, a club created by the popular magazine, Redbook, offers the opportunity to sample new products when you create a free account. From what I read online, some people had some pretty good luck receiving free makeup samples as long as they were willing to share their opinion via a survey. Joining does not guarantee a free makeup sample right away, but the more “clubs” you join, the greater your chances are of landing some awesome freebies! I have added a few, so by now, I’m hoping you’re joining so you can see some free makeup offers land in your inbox, ha ha! If you go to a local Sephora store, they will be more than happy to offer you samples free of charge, but whenever I go here and ask, they often limit me to two to three samples. This is a great strategy, however, DO NOT abuse the system and only try to sample the items you truly are interested in buying. Nobody likes a freeloader. Most of the time, they will simply ask me which samples I’m looking to try, and if they are able to, they will allow to test it out. This is a great opportunity, so don’t overdo it. It’s also a great way to test out the samples in person as well. In addition the free samples, you can also get a free makeover if the time allows! Also, if you plan on making a purchase online, be sure to add up to three samples to your order. Online, you’re able to choose which samples you want, whereas in the store, while you do not need to make a purchase, sometimes they will just give me a sample without asking what I’m looking for. Sign up with Smiley360, and connect with more than 1 million members who receive products, including makeup, for free. In exchange for these products, the company will simply ask for your honest opinion. Joining, again, doesn’t guarantee a freebie, but some have had luck with it. To join, follow this link and see if any makeup offers are currently available. As there are a lot of makeup brands, make sure you’re following them on all social media platforms, including Facebook, Twitter and Instagram. A lot of these companies will commonly offer giveaways, freebie offers and even exclusive deals that are sometimes good to pass up. By following them, you can be sure you have first dibs on the offer before it starts to show up on freebie websites and disappear. The same can be said about an e-mail newsletter as joining can put you in the loop first as well. Another website similar to that of Smiley360 and Product Testing USA, Swaggable will send you products in exchange for a review. When you sign up for a free account, Swaggable will let you choose the categories you’re interested in, so when doing it, just make sure you choose the beauty category. Once your profile matches up with the current offers, then the company will send you an e-mail, asking if you’re interested. If so, they will send you the product and you will review it either on your social media channel or website. The Toluna Influencers allows you to “inspire, share and get great rewards” in sharing your opinion. A lot like some of the other focus group programs I mentioned, Toluna works in a similar way, but you may find yourself testing more than just makeup products that are sent to your home. If you want to test new products and get rewarded in doing so, you can learn more about the Toluna Influencers program here. This is also a great option for those who want to try more than just beauty products since they work with so many great brands. Tomoson is a product review-type website which allows you to glance at a list (no registration required) and pick out the items you want. While some items do cost money to have shipped to your home, you can find freebies as well. Click on the product of interest, read the requirements, and if you think you qualify, apply for the product and see if they accept you. If they approve you, then you will simply have to follow the directions, which, most of the time will require some sort of review. Tryazon wants you to turn a social event into a product testing event. While not all of the products they offer are beauty related, you could consider signing up for the company if you feel you could gather a lot of friends/family members to your home. Besides trying out beauty products, it’s a great way to help the sponsors test their products and provide feedback, all while having fun with a group of people. Signing up is free and there’s no guarantee you will get free samples. I just list these services to add to your stockpile to increase your chances at freebies! Local Ulta stores commonly have samples on display you can take home, and like the other retailers I mentioned, they may even have some available behind the counter if you simply ask. Aside from makeup samples, the retailer usually will have fragrances and skincare samples on display as well, so you could find yourself going home with quite a bit. Aside from purchasing in store, the online website also has a free “gifts with purchase” page, so make sure you check out this page before making a purchase online as the company commonly offers some great freebies! It is said when you become a YSL Beauty Blackbook member, you will automatically receive a free makeup sample. Plus, if that’s not enough, the company will send you another free makeup product on your birthday as well as free samples with every purchase you make. Joining is free and can be done via this link. Your results will vary, however. I have heard some people have had luck with this method, but reach out to some of your favorite makeup brands, whether it’s via the phone, e-mail or through the mail. I’m going to try this in the future, and when I do, I will be sure to link it here! Doing this, just let them know how much you like the product and see if they have any samples for any upcoming products. Just be kind and see where it takes you! Tom Locke, for example, created the $39 experiment, where he sent out 100 letters and received hundreds of dollars worth of goods in doing so! It wasn’t all makeup, though. If you plan on shopping with any of these retailers online, be sure to add to look for the samples section on the website to take advantage of this free makeup offer. Almost always, you should be able to find something for free that you can add to your cart. If I didn’t list a beauty retailer, then, oftentimes, searching for the retailer’s name, followed by the word “free samples,” can direct you to their freebie page if they have one. In conclusion, your absolute BEST way to get free makeup is by visiting the store directly as they will be more than happy to give you a sample in person. Plus, you won’t have to worry about shipping. Again, if consider this route, don’t overdo it, please. If you can’t make it to the store, then the next best bet, in my opinion, is following one of the many freebie websites I mentioned above as they tend to update quite often. But remember, if you consider this method, check in on these offers daily or even more than once a day because the good ones go fast. While I would love to update this page with constant makeup freebies, I just can’t keep up with it since the offers changing day by day. As a last resort, the purchasing method works great as well, especially if you’re going to make the purchase anyway. Plus, you can pick out the sample you want to add to your cart, so you kind of know what you’re going to get with your purchase. Just follow those links via the details above if you’re interested and land a sample with the purchase you were already going to make. 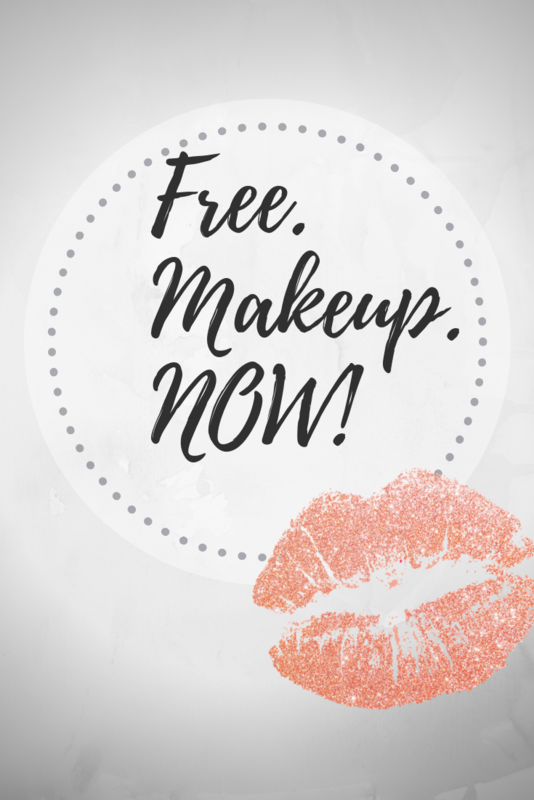 I tried my best to include as many free makeup resources as possible and while some will not reward you instantly, it doesn’t hurt to sign up for all of the focus groups mentioned above to increase your chances as you never know what ends up in your inbox. If you know of any other resources or think one of the resources I mentioned above is too spammy/scammy, do let me know in the comment below.